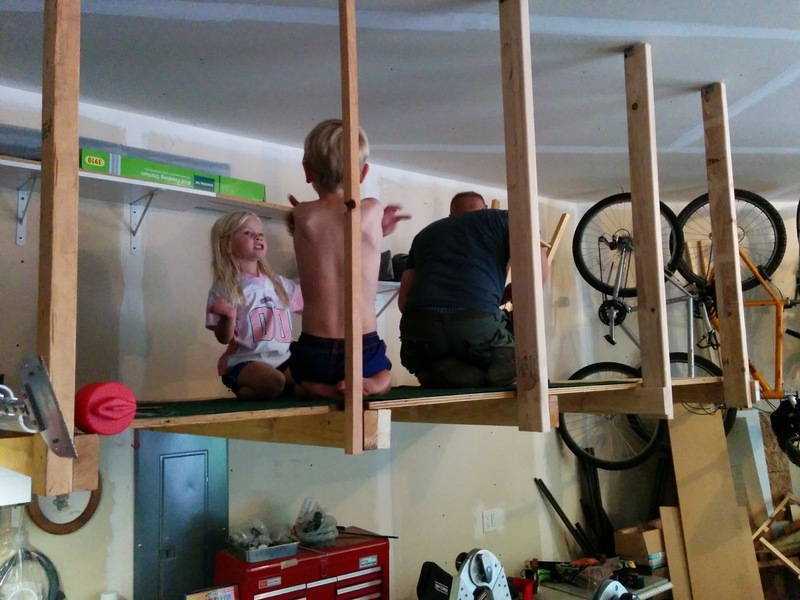 Awhile ago, I had put in a platform over my work bench in the garage to store "stuff". It was about 6 feet by 4 feet and stored our lawn chairs, old pipe, tennis racks and such. Well, we needed it to hold more. So now it is 6 feet by 10 feet :) The kids think it will make a great play space now.